West on HWY 53 , Right on Westwood Drive, left on Theo Street. House on right side. Hello, I’m interested in 6947 W THEO ST and would like to take a look around. 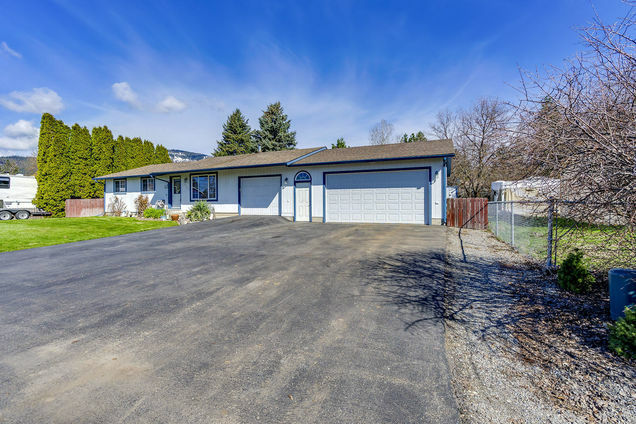 The details on 6947 W THEO ST: This house located in Rathdrum, ID 83858 is currently for sale for $249,900. 6947 W THEO ST is a 1,228 square foot house with 3 beds and 2 baths that has been on Estately for 1 days. This house is in the attendance area of Lakeland Senior High School, Lakeland High School, and John Brown Elementary School. Listing Courtesy of: CDAMLS and Keller Williams Realty Coeur d'Alene.